Hot melt adhesive gun systems for the precast concrete industry. 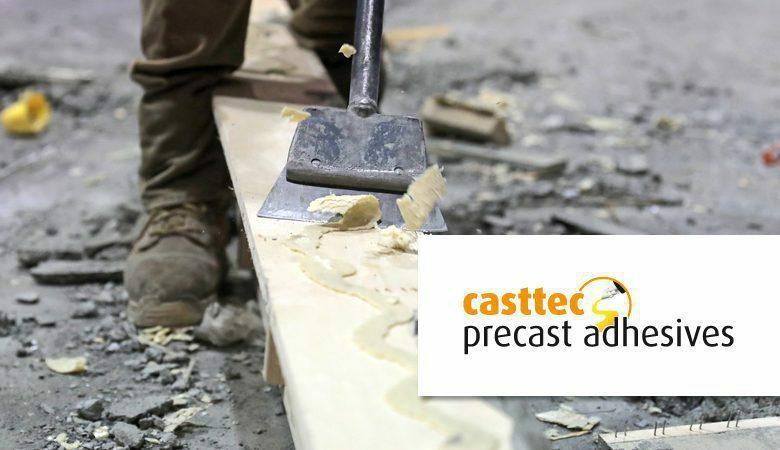 Casttec glue and the tec range of heavy-duty industrial glue guns is the faster, more cost-effective way for the concrete industry to fix both structural and architectural accessories & fixings to precast concrete forms. The non-destructive casttec system not only saves time, it also prevents damage occurring to the forms by eliminating the need for magnets, double sided tape, drill and bolts, and welding. The tec tools listed are available with various power ratings that determine the melt rate and the adhesive output. The all-electric 400 watt tec 3400 dispenses up to 3.8 kg (8¼lb) of adhesive per hour, with the electric/pneumatic 1000 watt tec 7300 dispensing up to 5.25 kg (11½lb) of adhesive per hour. Tec glue guns can apply the adhesive in bead, dot and spray patterns to suit almost every application. The tec 6300 and 7300 are specially adapted to apply the adhesive in a spray pattern to cover a larger area, making them particularly suitable for Expanded Polystyrene (EPS) mould elements.